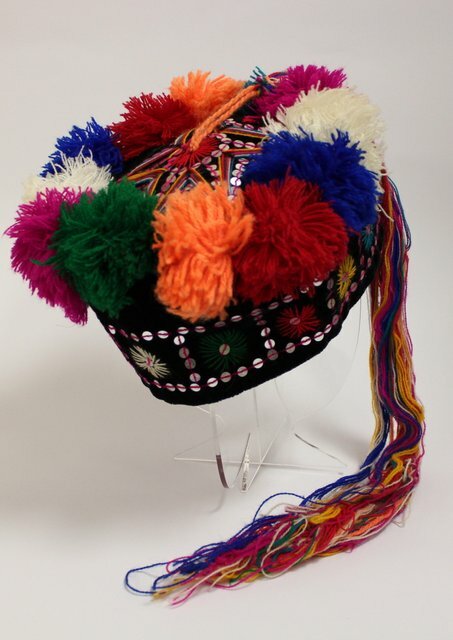 A festive cap is made of velvet and decorated by woolen pompons and threads, as well as glossy objects. It is usually worn everyday, even at work when the baby is carried on the back of its mother. Burma, Kalaw, 20th cent.